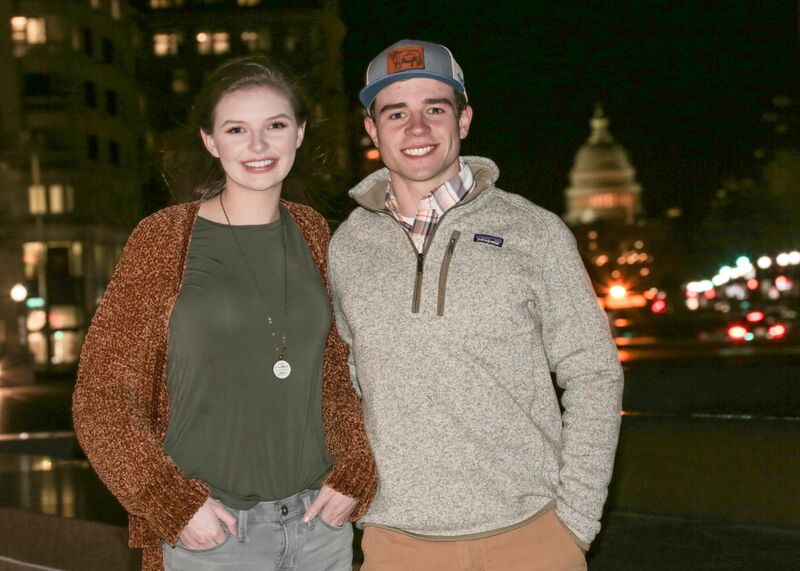 Lauren Rowlette of Madison County and Marcus Wiseman of Clark County were named 2018 Outstanding Farm Bureau Youth during the KFB Annual Meeting held last December in Louisville. As part of that honor, the two were given the opportunity to attend this year's KFB Congressional Tour to experience the organization's efforts to advocate at a national level. The purpose of the Outstanding Farm Bureau Youth Contest is to promote youth involvement in county Farm Bureau activities and to recognize leadership, achievements and awards in their schools and communities. Represent his/her district at the state competition at the Kentucky Farm Bureau State Annual Meeting in Louisville in early December, if selected as one of the 11 district finalists (male and female). Contestants will be judged by three people with backgrounds in youth work and/or agriculture. County/District Awards - Prizes awarded in varying amounts. *Participation in the state contest is a requirement to be awarded this prize.